This is more than remotely cool. 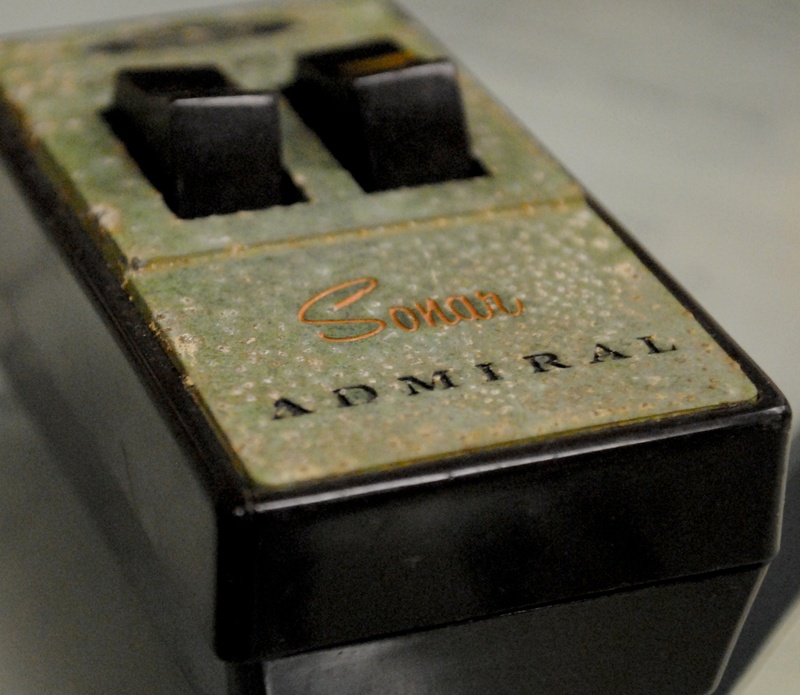 It’s an Admiral Sonar remote control for old wood console TV. This remote looks like a wireless electric shaver, and it weighs half a pound. 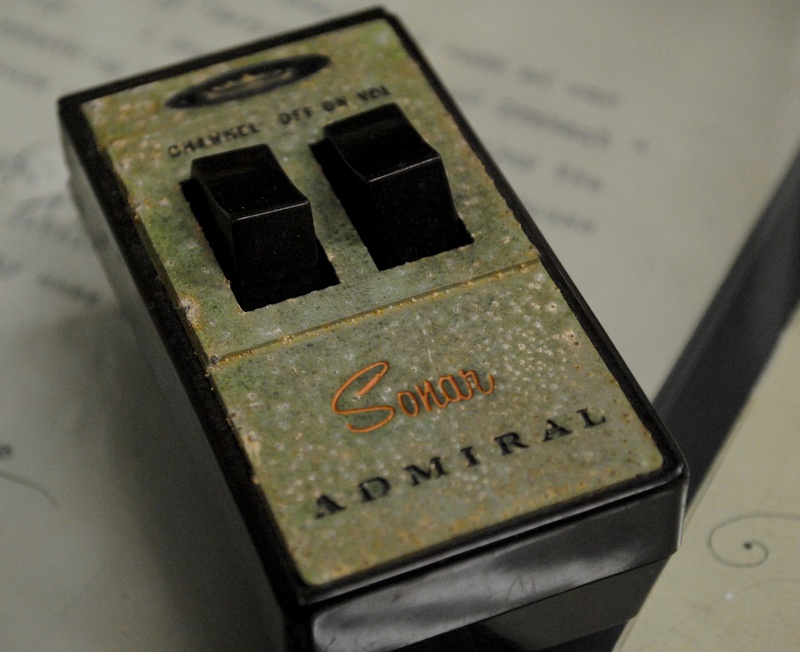 Tell me, when was the last time you saw a two-button remote clicker? ~ by DiMolaBros1956 on February 22, 2010.